Turning a big idea into reality often comes down to convincing the right people to throw money at it. The Starburst Accelerator Global Summit, happening Thursday, gives 10 inventors a chance to pitch their ideas in front of agencies like NASA, venture capitalists, and aerospace companies, including Boeing and Lockheed Martin. And, even more excitingly, it offers us a first glimpse at the best ideas coming down the pike in aviation, space travel, and related fields. These aren’t just pie-in-the-sky proposals. Each one, selected in partnership with President Obama’s Global Entrepreneurship Summit, is a detailed plan to change the way a corner of our world works. Some of them still look straight out of sci-fi movies, though — take a look. Rocket Lab wants to deliver satellites to space using its Electron rocket, which it says can achieve faster, cheaper, and more frequent launches than any other brand in the world. The key to the Electron's success, the company says, is their new 'Rutherford' engine, which is unlike any other in the world. Given that this is the brand behind the revolutionary 'cubesat,' we're excited to see what this new engine can achieve. 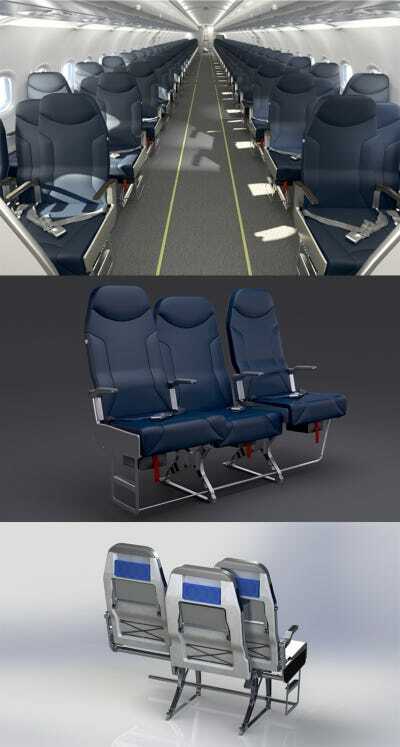 These 'side-slipping' seats could change the way we get on and off aeroplanes. Right now, one of the worst parts of air travel is getting on and off the planes. The aisle is too narrow, and our boarding orders are mathematically absurd. The side slip seat, which would allow planes to temporarily widen aisles during boarding, might make a big difference for passengers and airlines alike. Also, the company claims that they would offer more room in your seat during flight. Qelzal wants to give aeroplanes brains. Do you remember that awful 2005 film 'Stealth'? About the self-guiding fighter plane that becomes self-aware and attacks major landmarks? This was before we all got used to the idea of Predator drones buzzing overhead and blowing up parts of Southwest Asia. Well, DARPA-funded Qelzal wants to bring us another few steps closer to the 'Stealth' world, with 'brain inspired' computer vision and guidance systems for planes and drones. This 'business jet' promises to take off and land vertically. You know how annoying it is that your personal jet can't land in your backyard? Well finally the world of ultra-luxury air travel has entered the 21st Century. Built from carbon fibre and epoxy, XTI's plane will use three ducted fans set into its air frame to take off and land like a helicopter. Once airborne, they will jet around at the speeds business demands. 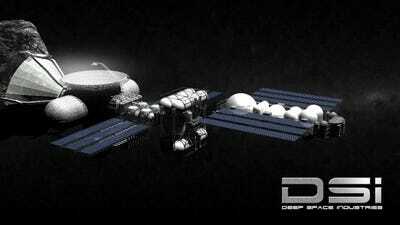 Deep Space Industries wants to mine asteroids. If you want a company to remind you you're living in the future, look no further than Deep Space Industries. The startup plans to 'industrialize the frontier,' stripping asteroids for resource that are hard to get on Earth but exist in abundance in space. One of their proposed targets? Earth's second moon. 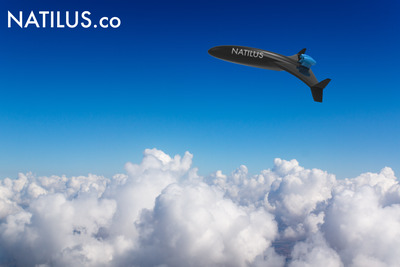 Amazon is building tiny little drones to haul packages to your house, and Natilus wants to do the same thing -- but on a much larger scale. 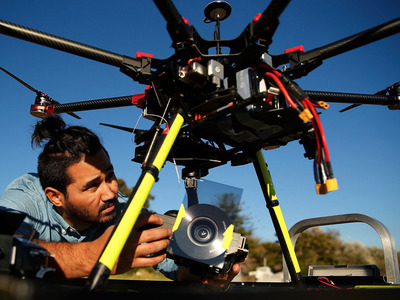 The company says its drones could haul 200,000-pound payloads at a speed of 300 mph over water. 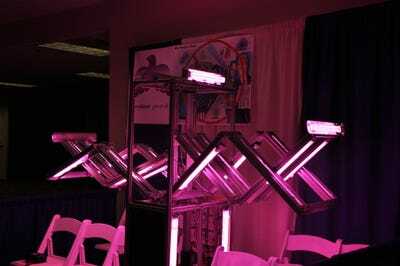 The Germfalcon robot will kill 99.99% of bacteria on aeroplanes using ultraviolet light. No, that isn't a monster from the original Doctor Who series. Built to the specifications of an aeroplane trolley, the Germfalcon will trundle up and down airplan cabins (presumably in between flights), ruining germs' days with its creepy pinkish glow. 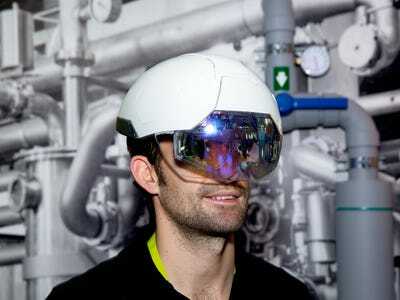 This helmet will provide industrial workers with augmented reality. Augmented reality isn't just for smartphones anymore. 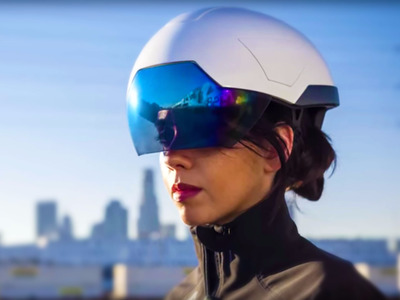 The Daqri helmet offers practical applications: Virtual information overlays while you work and head protection, all in one device.